Greg Clearman grew up in Mississippi enjoying and appreciating all the outdoor activities Mississippi has to offer. He started working in heavy equipment sales over 20 years ago and shows integrity, energy, and hard work in every detail of his sales transactions. Greg builds strong lasting relationships with his clients and strives to bring them the best service possible while making it an enjoyable experience. His high level of customer care, transaction and marketing skills give him a leading edge of getting the job done. Greg takes the approach that every client and every listing is greatly important. Always being responsible and keeping his clients in the know about their property is something Greg strives to give his clients. Greg lives in Madison and is a devoted family man to his wife, 6 children and baby granddaughter. An athlete by nature, Greg enjoys tennis, golf and bow hunting. He has always had a passion for real estate and hunting land. 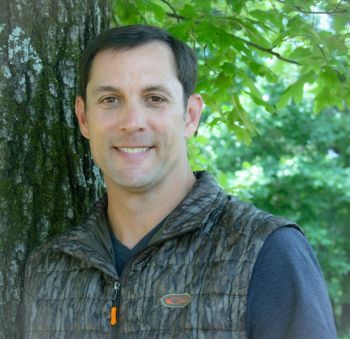 He looks forward to taking his 25 plus years of experience in chasing whitetails in the MS Delta and connecting people to the property of their dreams. It brings him great joy and fulfillment to see these opportunities come together. Call Greg today for all of your Real Estate needs!